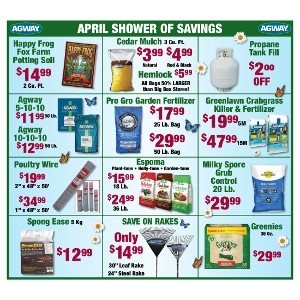 Click here for our April Shower of Savings postcard! Sale ends 04/29/19. Offered By: Montpelier Agway Farm & Garden Co.